Do you write blogs or articles? Design homes? Shoot photographs or video? If your answer is â€˜yesâ€™ to one or more of the above, WordPress can be a great platform for you to express your creativity to the world. WordPress has a number of responsive attractive themes that let your work shine. And it is one of the major reasons why millions of people across the globe choose WordPress over other platforms. In WordPress, you can choose the best theme out of hundreds aesthetically pleasing, feature-rich and user-friendly WP themes and create a website, blog or portfolio you can proud of. Letâ€™s take a look at 5 stunning free WordPress themes that let you achieve a perfect web design for your WP Site. If youâ€™re wondering how to take your small business to the next level, get future-ready WordPress theme â€˜Sydneyâ€™. It is a powerful business theme that suits business of almost every niche. However, it is mostly used by freelancers and companies to make a strong online presence. 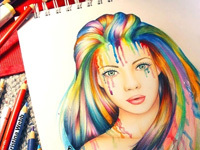 The theme helps you make a stunning impression on visitors, thanks to its large-size header. The theme has a great set of features making it popular among the WordPress users. Some of them are given below. -Its full-screen header image allows you to add an HD full-screen image along with a call to action. -The theme gives you access to more than 600 Google fonts without buying an additional plugin. -Users can easily set up their homepage via block based layout. This feature is making it a more suitable theme for a modern business website. -Sydney theme comes with 12 different custom widgets you may use to make your site more users friendly. These custom widgets include call to action, social profile, video widget, testimonial widget, skills widget, etc. -The theme supports two ready-to-use page templates i.e. Frontpage template and Full-width page template. 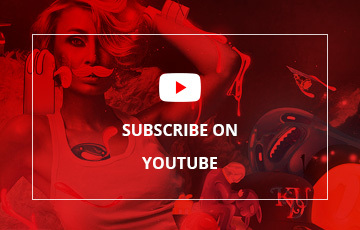 -The theme provides excellent support via video tutorials. 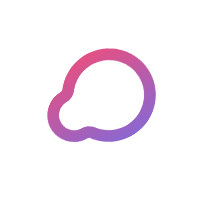 Moreover, users can post their queries in their support forums. If you want to take your offline business online, StoreFront is a perfect theme for your WooCommerce project. It is an absolutely free theme which is developed by WooCommerce professionals. The theme lets you set up an e-commerce store and sell products and services hassle-free. Using its different customization options you can exhibit your brand or business to the world with a great creativity. StoreFront is an extra lightweight WordPress theme that fulfills the various requirements of eCommerce stores of different niches. -It is a fully responsive theme that automatically adjusts to the screen of different shapes and sizes. 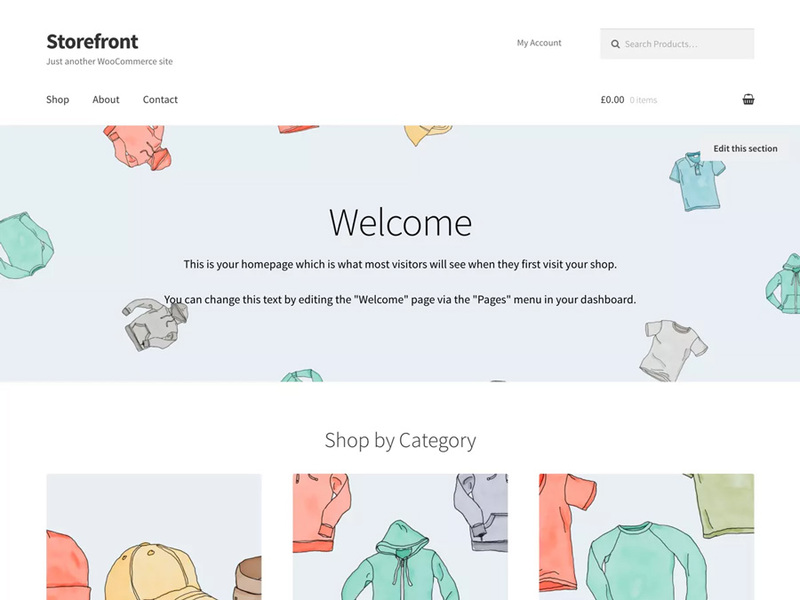 -As said before, StoreFront is designed by WooCommerce professionals it supports easy integration with WooCommerce, a popular plugin from WP to set up an eCommerce store. -The theme allows you to display all your product categories, top-rated products, sales, etc. 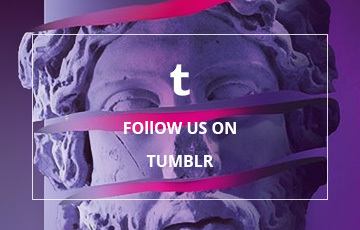 straight on the main page. -StoreFront gives you a variety of customization options. You can easily adjust typography, head styles, button styles, background color and other settings of your e-commerce store. -The themes offer 6 widgets areas-4 Footer areas,one on the header and one on the sidebar. 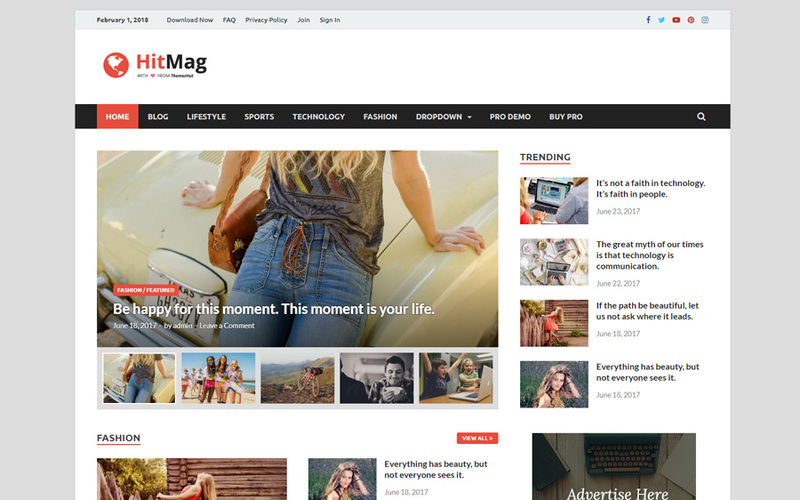 HitMag is another popular WordPress theme which has been specially designed for personal blogs, online, magazines, and newspaper. This elegant and powerful them is quite easy to install. However, if you find any difficulty while installing this theme, you may use File Transfer Protocol. This technology permits you to send and receive files directly rather than accessing the entire website. You can easily install any WP theme using it. Read a complete guide on FTP here. If youâ€™re looking to create an online magazine, HitMag theme can offer you 4 different layouts along with many color options. Moreover, the theme has numerous features such as unlimited background colors, control post metadata, custom slider, detail box, etc. -It is a fully responsive theme lets you create a WP site that can be accessed in different sizes and shapes of screens. In short, Users will be able to use your website whether they are using desktop, laptop, tablet or smartphone. -HitMag supports multiple layouts, you can pick the one that suits your business requirements best. -The theme offers Ajax powered post widgets that boost user experience. -HitMag is an SEO ready theme. It can help you rank in the search engine results. If you are in search of a modern theme for your startup business, go with Zerif Lite. It is a free multipurpose WordPress theme that meets the requirements of business profiles, web agencies, corporate business and personal blog. Zerif Lite furnishes amazing web designs let you add innovative aspects to your site with creativity. -It is an SEO-friendly theme which is compatible with WooCommerce plugin, which means you can convert your website to an online store anytime. 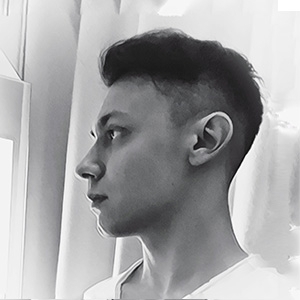 -The theme comes with a full-width header, you can place a full size of your brand's image right on the homepage of your website. You can also place a call to action on the image. -Zerif Lite is ideally designed for business websites. It has built-in contact form offers an easy access for users to contact your business. You put contact from straight on the home page your website. -With Zerif you get unlimited theme options, you can change the color of your site using customizer. -It gives you parallax setting option that lets you apply parallax effects on the home page your website. 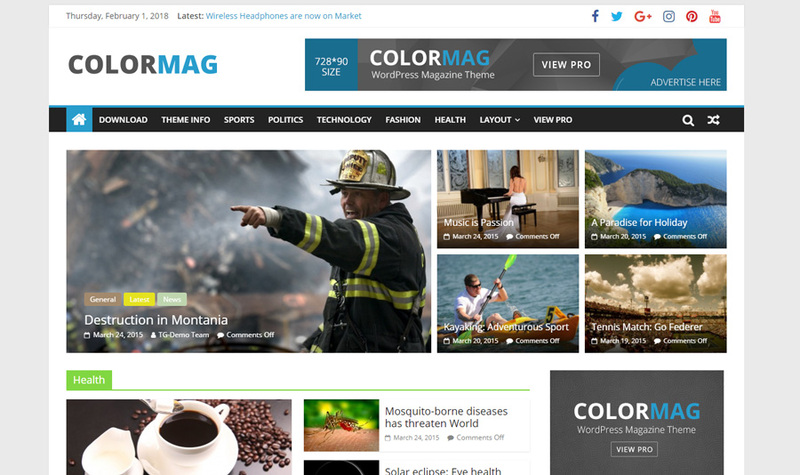 ColorMag is a magazine-style theme you can use to create an online news portal, magazine or blog. It is a fully-responsive theme comes with various advanced features. Till date, the theme has more than 90,000 active installs and this number is continuously growing. The theme offers various customization options you can play with look and feel of your site. Its free version is quite popular in the WordPress community. 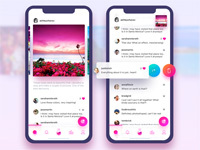 However, you can upgrade to its pro version any time for more options-but we guess you will need not to upgrade as the free version is adequate to fulfill all your requirements. -ColorMag comes with the flexible page layout options. You can choose full-width, left sidebar or right sidebar according to your requirement. 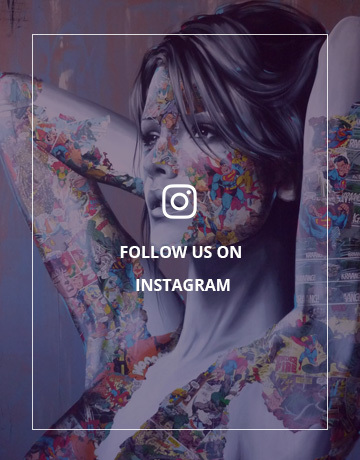 -You can easily enable your business social media profiles icons right on the top of your homepage. -ColorMag has 16 widget areas. You can display your site's pages, popular post, social media links etc. on these widgets. - Moreover, if you encounter any difficulty while using or installing this theme, you can seek a solution from their online support-forum. Besides this, there are numerous tutorials, videos, and documents available over the internet that can be helpful. These WordPress themes are created by professionals and being used by millions of users across the globe. All of them comes with adequate support which ensures smooth functioning of your site. You can choose any of above-mentioned themes that best match your business niche. Also, it's a good idea to run Wordpress on your local computer for testing purposes. So get ready to showcase your creativity to the entire world via these WordPress themes in 2018 and let your business reach new heights.